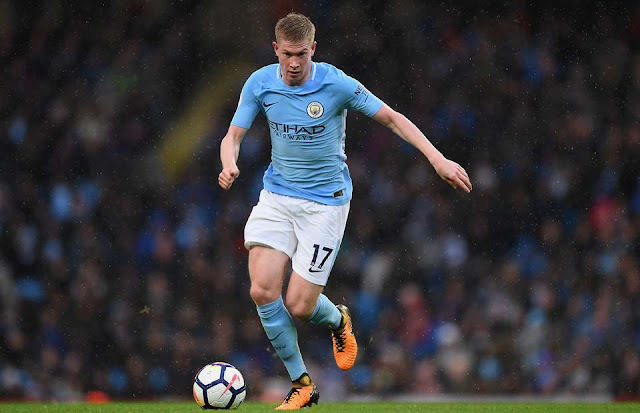 Belgian midfielder Kevin De Bruyne is on the verge of signing a stunning new 230,000 euro contract with Manchester City, as the club intend to keep the player at the Etihad stadium especially after his sensational season so far. The deal would be until 2024 and De Bruyne is reported to be paid in euros rather than pounds as a result of Brexit and the consequent devaluation of the British currency. According to the Telegraph, De Bruyne's wages would nearly double, receiving 230,000 euros per week, and that will increase to 300,000 euros per week based on the objectives that are met. A renewal deal with the Belgium international would be an important step for the English team if they hope to keep the footballer at the club. Gabriel Jesus, Fernandinho, Leroy Sane, Raheem Sterling and Ederson Moraes are also other players who will most likely pass through the office for a new contract.